Expanded x Ep. 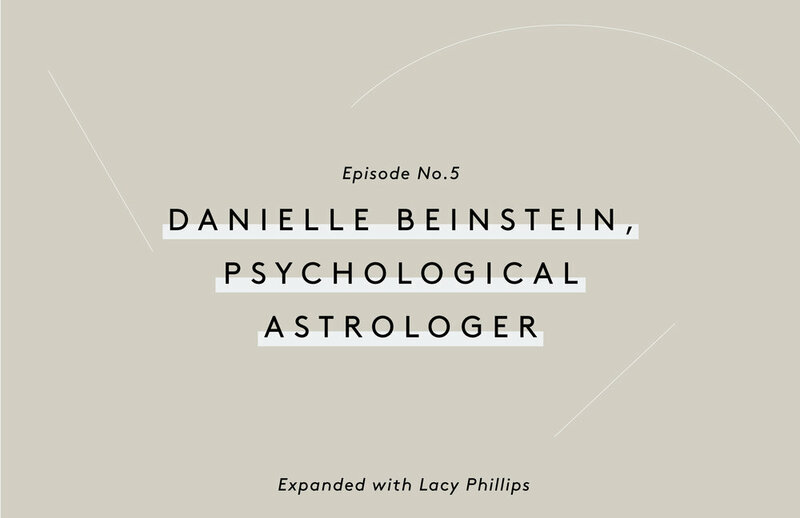 05 - Danielle Beinstein, Psychological Astrologer — To Be Magnetic™ | Manifest the life you deserve for less than a dollar a day. "The most important thing about astrology is that it's not the answer, its a tool, your own intuition trumps all, and that nothing is good or bad ever – it just is. It’s like that Buddhist belief of ‘Perhaps’ – we want to judge things as good or bad because we think things should be copacetic all the time, but we don't grow in that way." "I planned a month long road trip to rebirth. On day 1 of the road trip, somewhere around Monterey, I had a moment that I was like ‘Oh, I’m about to die.’"
"Someone was going to rescue me by giving me a job, someone was going to rescue me by marrying me, someone was going to rescue me circumstantially – I housed that. I did everything I could to avoid building my own foundation. And that I had to manipulate or I had to be what I perceived they needed me to be in order to manifest, because I was manifesting through them. And nothing ever materialized. Ironically, it really wasn’t until I met my boyfriend and he held up a mirror so I completely had to rescue myself." "I remember thinking I always wanted to be the kind of woman who got up and walked away. And so I got up and walked away." “I think in healthy friendships, there needs to be enormous amounts of freedom. A lot of it comes from my need of solitude and not about the other person. In order to give them what I believe they are deserving of, I need to create space around that."